New 2018 DS 4 is a compact hatchback, characterised by its distinctive, purposeful shape. This elegantly cloaks a car that’s rewarding to drive but still comfortable. Refinement and attention to detail are keywords of DS. New DS 4 is no exception to the rule, with great care applied to every detail. Its luxurious interior is hand-built by skilled craftsmen yet packed with the latest in-car technology. It demonstrates the DS philosophy of meticulously matching design and technology with comfort. 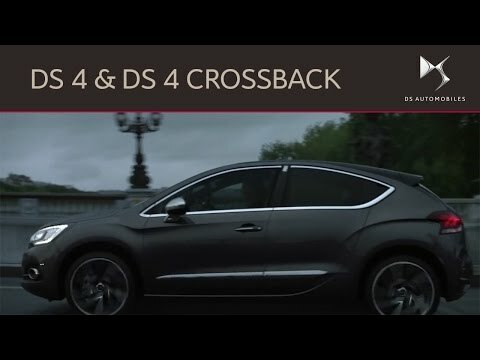 The sophisticated and streamlined dimensions of New DS 4, ensure it is dynamic and agile but with reduced wind resistance to maximise fuel efficiency and minimise CO2. Hire Purchase example based on 2018 DS 4 Elegance 1.6 BlueHDi (120ps) Elegance (s/s) Hatchback 5dr 1560cc. Vehicle's to be registered before 30th September 2018. Finance available from Citroën Financial Services, written quotations available on request from Citroën Financial Services subject to status. Over 18’s only. Terms and Conditions apply. Citroën Financial Services is a trading name of PSA Finance UK, Quadrant House, Princess Way, Redhill, Surrey, RH1 1QA.